According to the Sleep Health Foundation, (PDF) around 1 in 3 people have at least mild insomnia. It’s a growing problem for many of us and increasingly prevalent in children. 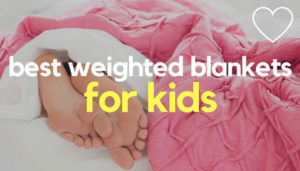 So if you, or your child, suffer from sleep issues, you could find the gentle pressure of a weighted blanket helps you drift off to a better night’s rest. 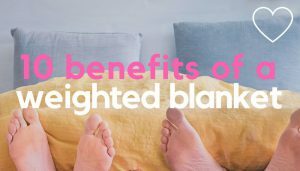 Read on to discover 5 research backed benefits of weighted blankets for sleep, including how to make sure you get the right sized blanket for you or your child. Sleep is vital for maintaining good mental and physical health and our bodies sleep best when we’re relaxed. However, technology and the pace of Western life, can make it hard for our bodies to calm down. This can put stress on our nervous system and lead to sleep problems, anxiety and even depression. This is where the therapeutic deep touch pressure (DTP) of a weighted blanket may help, since it helps stimulates the natural release of serotonin, a hormone which helps regulate our sleep/wake cycles. Serotonin also naturally converts to the ‘sleep hormone’ melatonin, which helps our body prepare for sleep. Many sleeping disorders are actually associated with low serotonin & melatonin levels and this study found that using a weighted blanket helped those with insomnia to sleep better. Here’s a short video from Mosaic Weighted Blankets that explains how they work. Sleep problems and stress often go hand in hand. So for many of us, relaxing at night in preparation for sleep is not always easy. Again, this is where a weighted blanket may help, since its ‘hug-like’ touch is thought to help stimulate the release of oxytocin. Oxytocin, often called the ‘feel good’ hormone, is linked with anti stress properties, including reduction of cortisol levels – a hormone thought to play a role in sleep disturbances. This study suggests oxytocin may also help sleep apnea, whilst this one suggests it may help modulate sleep. More and more children are being diagnosed with autism, sensory disorders, ADHD, ADD and Asperger Syndrome; conditions often associated with poor sleep. Research suggests children with these conditions are often naturally deficient in the ‘sleep hormone’ melatonin. Using a weighted blanket may encourage the body to naturally increase melatonin production, in turn helping to encourage relaxation and much needed rest. Even if we fall asleep relatively quickly, sleep can sometimes prove restless or we wake still feeling tired. This is where the deep touch therapy of a weighted blanket may help our body to fully relax into a deep, more restful sleep. 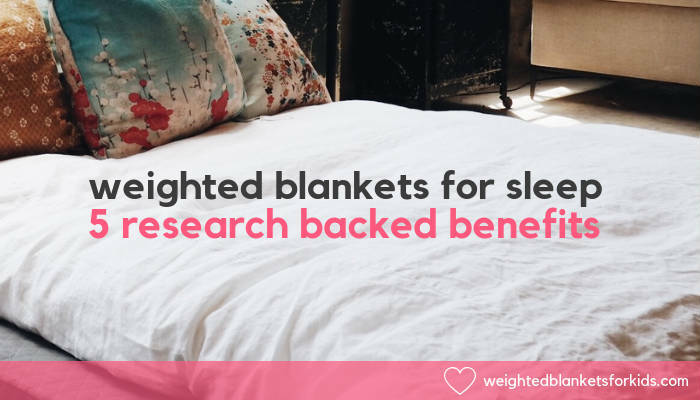 Another benefit of using weighted blankets for sleep issues is the fact they work in tandem with the natural rhythms of your body. Their deep touch therapy helps to relax the nervous system, supporting relaxation and better preparing the body for quality, restful sleep – all in line with the body’s natural processes. 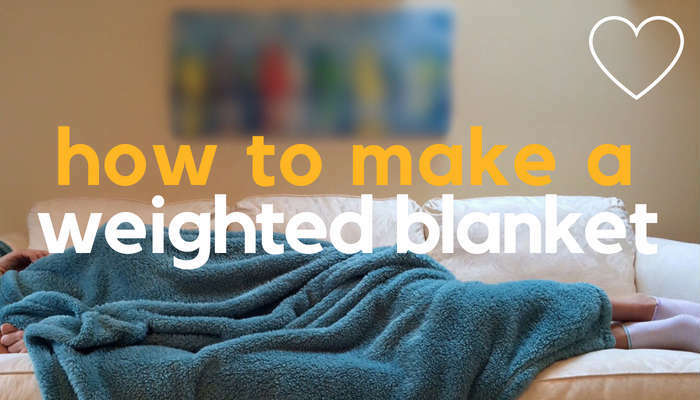 Now that you’re familiar with the benefits of a weighted blanket for sleep, let’s look at how to choose the right size. 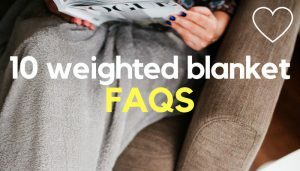 What Size Weighted Blanket Do I Need? Heavier than regular blankets, weighted blankets contain a weighted element (usually plastic poly pellets or micro glass beads), which are sewn evenly into ‘pockets’ inside the blanket. When placed over the body this additional weight places a gentle therapeutic deep touch on the user, aiding relaxation and sleep. 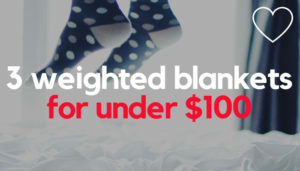 10% of the body weight, plus 1-2 pounds for children. Keep in mind, you should never use a weighted blanket with a baby or anyone who can’t move the blanket away their own body, unaided. 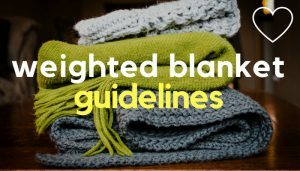 Weighted blankets are also not generally recommended for children under 3. Originally developed as a therapy for children with autism, weighted blankets are increasingly being used by children and adults with sleeping and anxiety disorders. 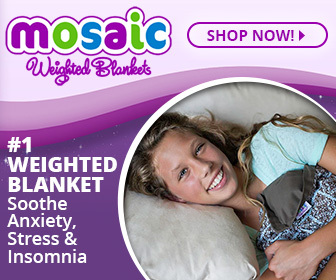 So whether you have long term insomnia, occasional sleep issues or have a child with autism, who struggles to drift of at night, you could find the answer in the therapeutic touch of a weighted blanket for sleep and anxiety.